Monarch Air Group provides private air charter in Salinas, CA. Our clients benefit from top-notch service, unrelenting dedication to safety, wide selection of aircraft, and years of experience in chartering private jets. To obtain a free quote, please use our online quoting tool provided below, or call toll free 1-877-281-3051. Monarch Air Group provides private jet charter flights in and out of Salinas, California, USA. 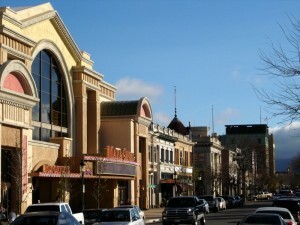 Salinas is a city in west central California, and a commercial center in the agriculturally important Salinas Valley. The population of the city is about 150,441 people. The total area is 23.2 square miles. The most popular tourist attractions include National Steinbeck Center, The Farm, Monterey Bay Equestrian Center, Toro County Park, Maya Cinemas, Scheid Vineyards, Aguila Cultural Center, and much more. The nearest airports include Monterey Peninsula Airport (MRY / KMRY), which is located 16 miles from the city, and San Jose International Airport (SJC / KSJC), which is located 63 miles from Salinas. 10. RHV, Reid-hillview, San Jose, United States. 1. Holiday Inn Express & Suites, 195 Kern St, Salinas. 2. Holiday Inn Express & Suites, 195 Kern St, Salinas. 3. Holiday Inn Express & Suites, 195 Kern St, Salinas. 4. Holiday Inn Express & Suites, 195 Kern St, Salinas. 5. Best Western Salinas Monterey Hotel, 175 Kern Street, Salinas. 6. Good Nite Inn, 545 Work Street, Salinas.